During 2016 we're excited to be putting on two race events; a 50 mile road race as part of the Scottish Cycling West Road Race Series on the 30th July and a CTT 10 mile time trial on the 11th June. 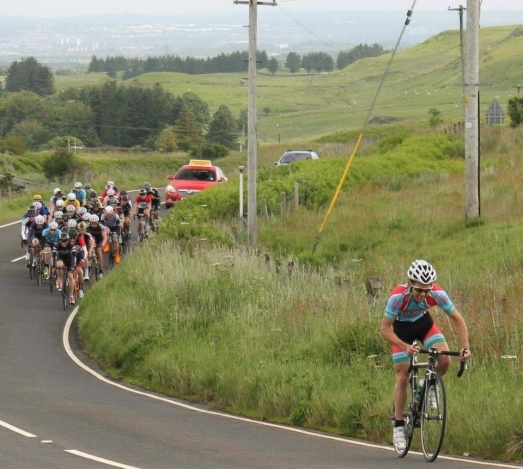 The road race will take place on an undulating course in Renfrewshire that will likely bring a select group to the finish and the time trial will take place on the fast Westferry course. Links are given below for online entry and further info about each event. No comment really - I found this the only way to make input. I would like to get a message to Ian Sharpe - I last saw him when the Glasgow Couriers were only six strong back in about 1960 to 1962 0r 63- with I think a different Taylor, Albert Hendry or Bert, I think he had a curly Hitchins) Mr Moscardini and A N other. Ian had a Mercian. Mine was a Scot. Meeting place was a room upstairs in a close in Parliamentary Road ( with a set of rollers, and somewhere to boil a kettle)- building long gone as well. We met almost every Sunday at 9am to go the run, usually a minimum of 60 to 80 miles. I was the only one racing at the time - all time trials at West Ferry and elsewhere. Favourite drum up place beside the Lake of Menteith. with a billy can in our musettes with a family can of soup for lunch, washed down later in some hostelry or other. Sorry to say I no longer have the Couriers racing vest. Still have a bike though ( Raleigh double butted-needs some TLC ) - both Scots are long gone. I have great memories of those times, and mainly the one where we cycled on Lake Menteith - the year of the famous bonspiel - may have been 64 - not sure - time fades memories.